Alexandria Ocasio-Cortez’s is dangerously dumb and today Senator Lindsey Graham rightfully called out another of her stunningly stupid comments. 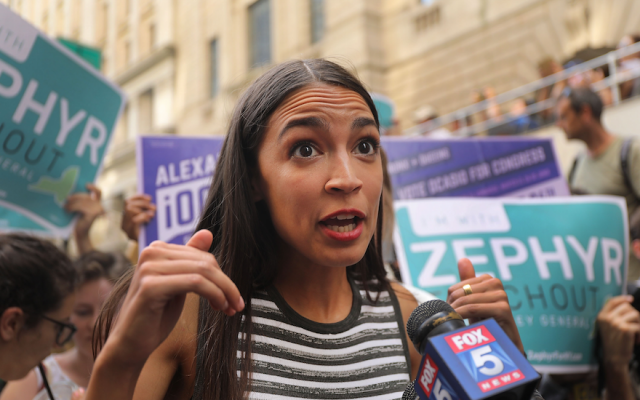 This one came in the form of a pro-invasion stance in which Congresswoman Ocasio-Cortez likened the would-be illegals crashing the gates of the U.S. southern border to Jewish Holocaust victims and families fleeing Rwandan genocide in the 1990’s. Six million murdered Jews and 800,000 slain Rwandans has no similarity to five or six thousand (primarily young men) attempting to illegally enter the United States. To attempt such a comparison is a terribly insulting gesture but sadly one that has become all too common with the intellectually challenged Ocasio-Cortez who herself has literally embraced Muslim fanatics who openly call for the destruction of Israel and the subjugation of women to the medieval laws of Sharia. Her attacks on our border and ICE agents, (many of whom are minorities) likening them (directly and/or indirectly) to Nazis, are utterly deplorable.